It is my first time to attend an International Developer’s Conference and I must say the first day was more than what I expected. 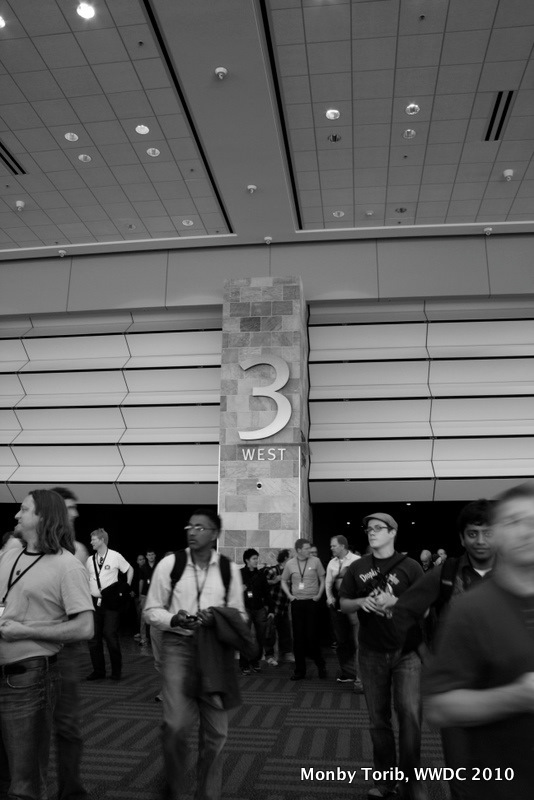 The highlight for WWDC 2010’s first day was the Keynote presented of course by Steve Jobs. Knowing its importance, Lino and I lined up 2 hours before the event and luckily despite the long queue, we were able to get inside the conference room before it got full. Then we waited and watched as the camera men were focusing on different attendees who were busy talking and doing their stuff. Some were even trying their hardest to get the camera men’s attention. That was a fun moment. In the midst of that, the song “What a Wonderful World” was played in the background. I felt a bit melancholic listening to it. (Up to now, I am still wondering why it was played.) Then finally appeared on stage, Steve Jobs. All of us inside that room were delighted to see Steve in his normal outfit, jolly and excited to see us all waiting for the good news. I was very eager too to hear what he has to say especially about the coming iPhone which untimely exposure brought a lot of buzz the previous months. But I wasn’t expecting much. Our team has been discussing about iPhone OS 4.0 and it’s features. I was certain that will cover majority of the Keynote. Little did I know, I was in for a very pleasant surprise. Steve Jobs mentioned about the statistics reports for iPhone and apps sales, some updates about iPad, AppStore, HTML 5, etc.. (You will see all the details in the coming Keynote to be posted in Apple site.) But Steve Jobs was just not there to discuss about those stuff. 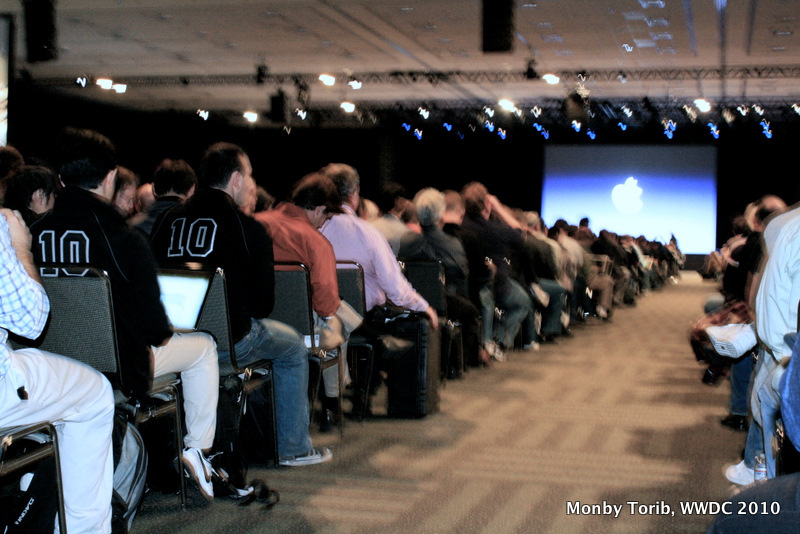 When it was time for iPhone’s Keynote, all of us in that room could not contain our excitement. The talk got more and more interesting as each mind-blowing features were revealed to us one by one. Steve Jobs’ mentioned about the new iPhone 4 hardware design and hardware components, 5-megapixel camera, Retina display, HD video recording and editing, iOS 4, gyro-accelerometer, iBooks new features, new search options, etc… Whew, the features are just too much right? At this point, the attendees were clapping and some were even whistling out of the amazement the iPhone 4 has in store. 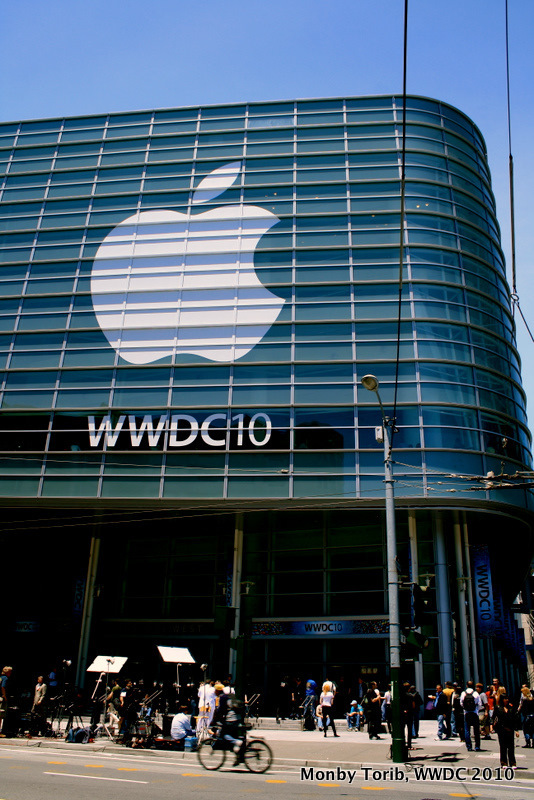 Apple is giving all users and developers these features even just after 3 years of its birth. As one friend said, nothing beats iPhone but iPhone itself. The surprise didn’t stop there as Steve Jobs had one more. It was FaceTime. I have experienced this kind of feature from a Sharp phone in Japan before so I wasn’t feeling it at first. 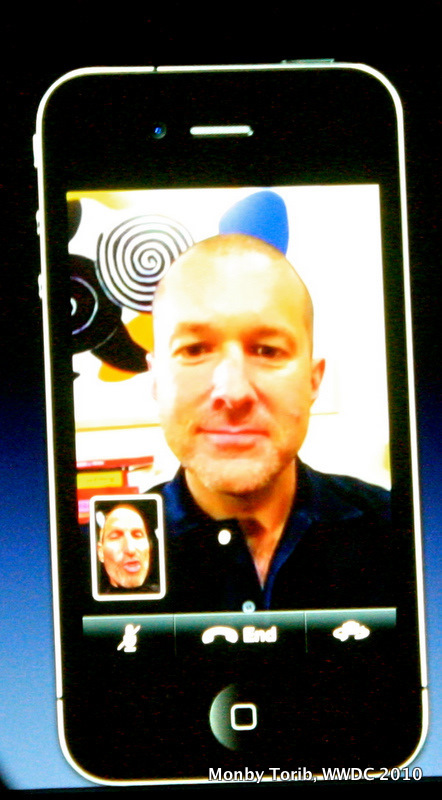 But when Steve showed us the video clip for FaceTime, I understood what the app was about. For me, FaceTime is not just an app or a new cool feature. It is an app for a families and friends, breaking the communication barrier and giving way to easy connections for everyone with just a wifi connection. FaceTime for me, gave a whole new meaning to iPhone. At the end of his Keynote, Steve Jobs said that Apple is not just a Technology company. I really do agree. With the Keynote, I am now more convince that Apple isn’t just making products for the sake of making and selling them. Apple innovates not just to showcase new and cool technologies but they always so see to it, as far as I can tell from my own experience, that those new technologies will impact and give users the best experience that Apple can offer. The announcement of iPhone 4 just proves that Apple is not done yet. What I love even more is that Apple did not just make these features to outdo the competition, they have been there in their minds for a long time waiting to be unleashed. Overall, I am very happy with how the Keynote turned out. It is not everyday that we hear good news and today is an exception. Apple has delivered another great iPhone. I can’t wait for the 15th to come.